Heuchera 'Primo Black Pearl'. 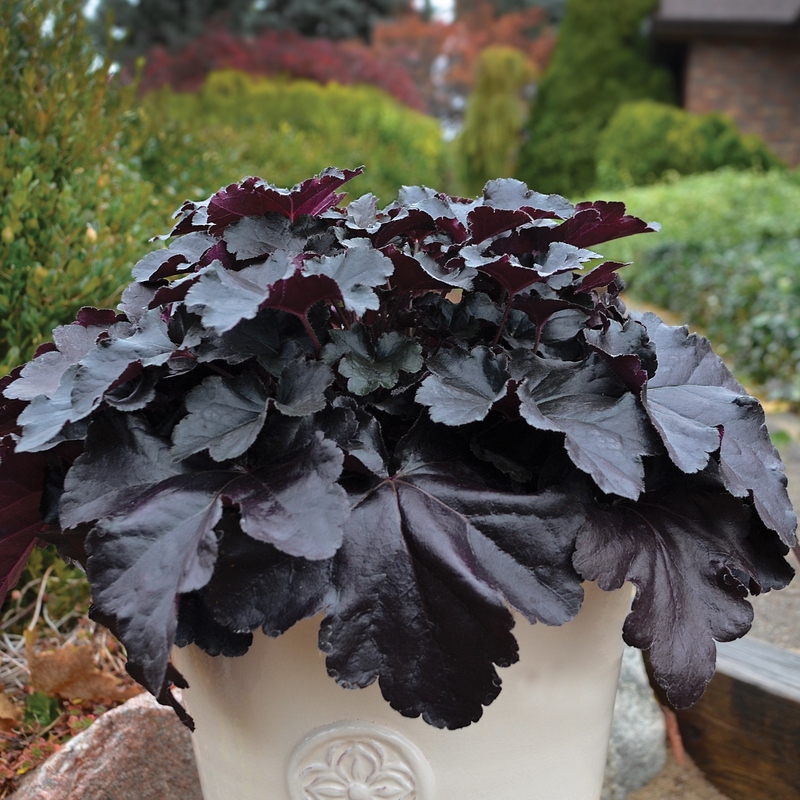 Meet the new standard in black Heuchera. 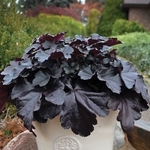 ‘Black Pearl’ forms an incredibly dense habit of shiny, jet black leaves with scalloped, ruffled edges. 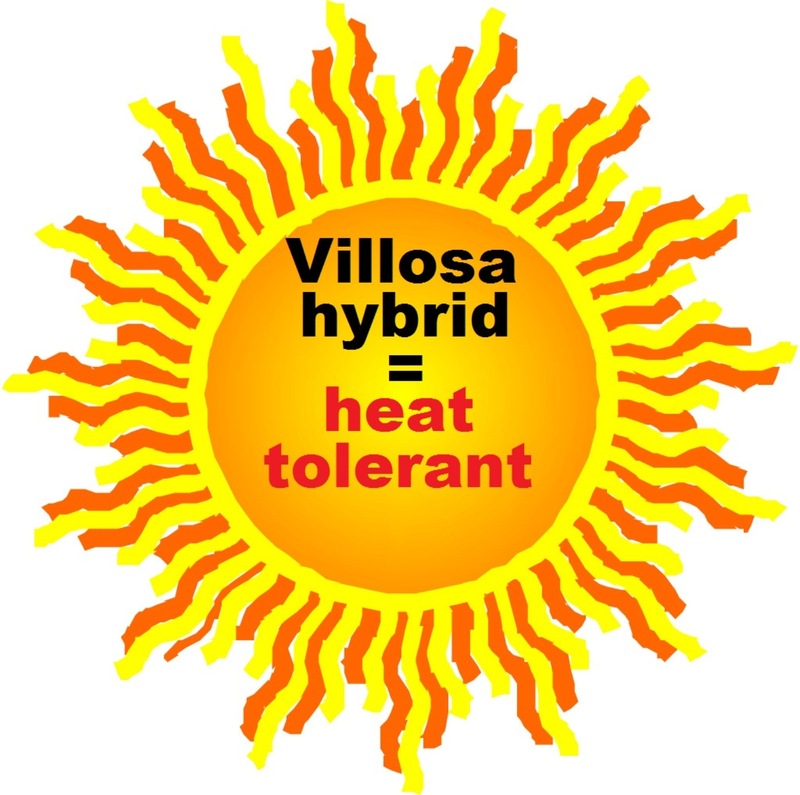 Each 4-4.5” leaf has rosy purple undersides, revealed with the intense ruffling of the leaves. Oldest leaves have a slight silver overlay. To top it off—‘Black Pearl’ keeps its intense black color even in full sun, instead of bleaching to brown. White flowers with pink calyxes appear in midsummer. PP#29395. MATURE HEIGHT: Foliage 8-10". In bloom 18-20". FLOWER: Pink & white, mid season.